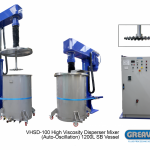 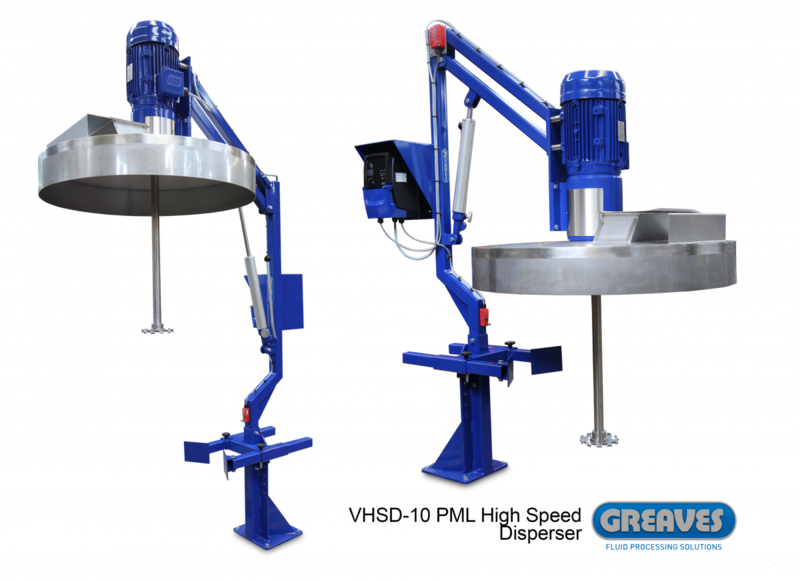 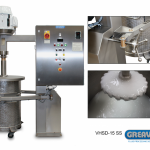 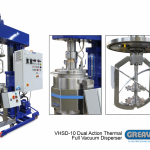 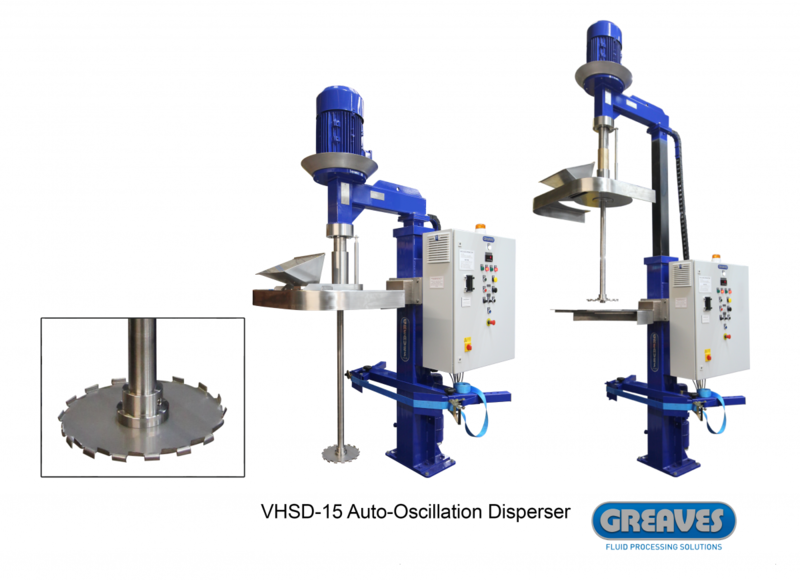 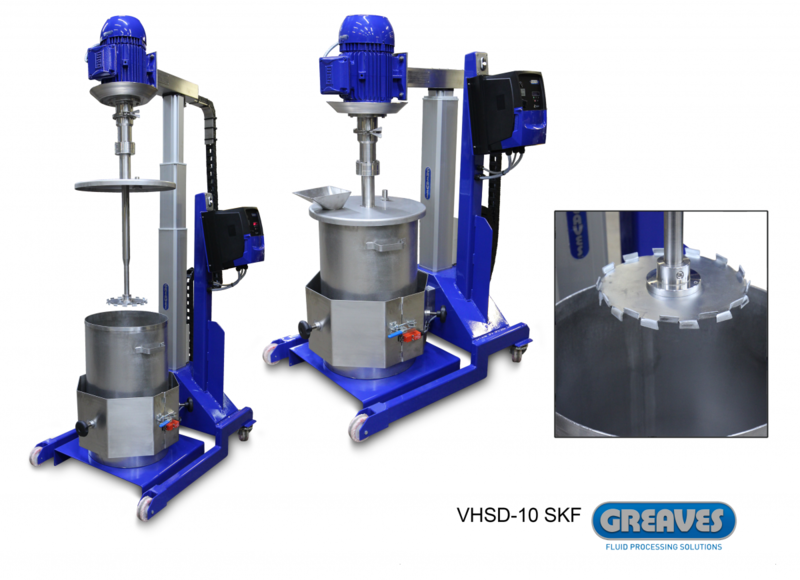 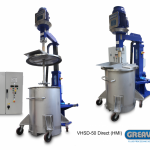 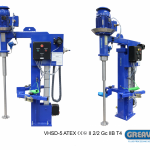 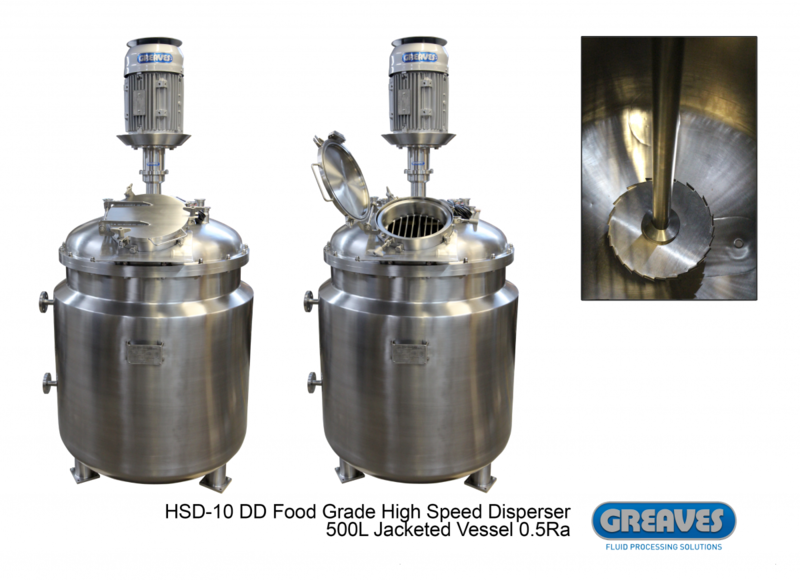 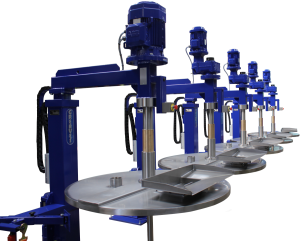 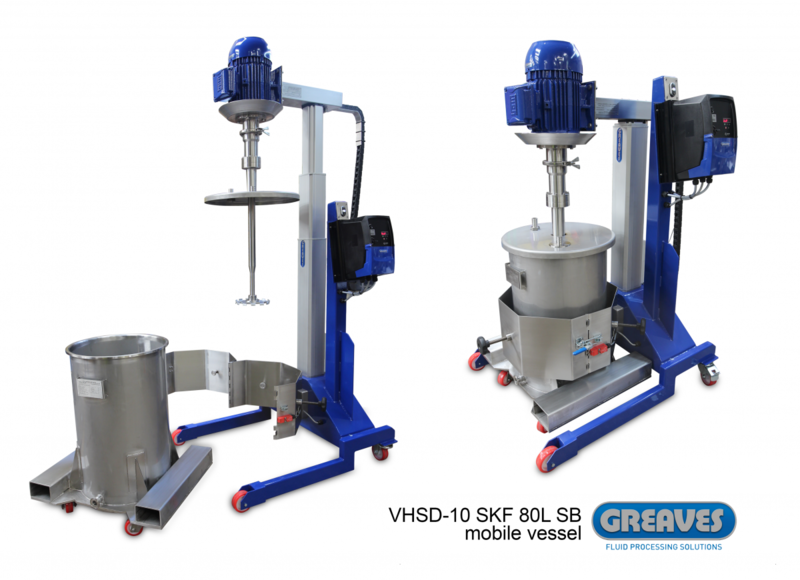 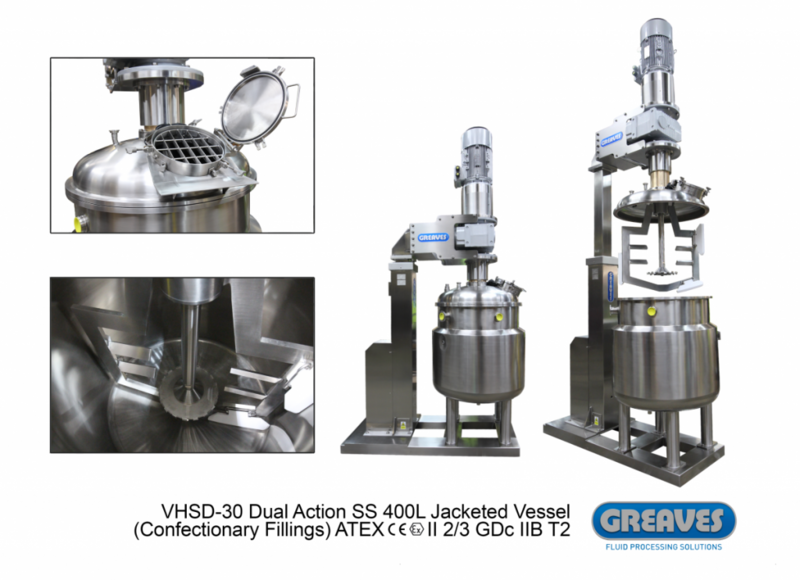 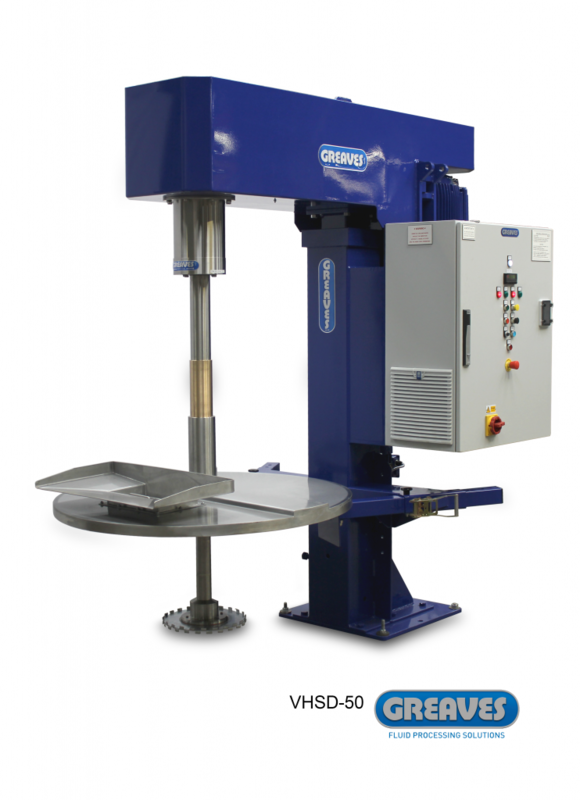 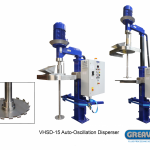 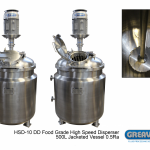 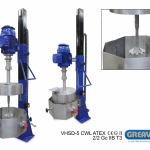 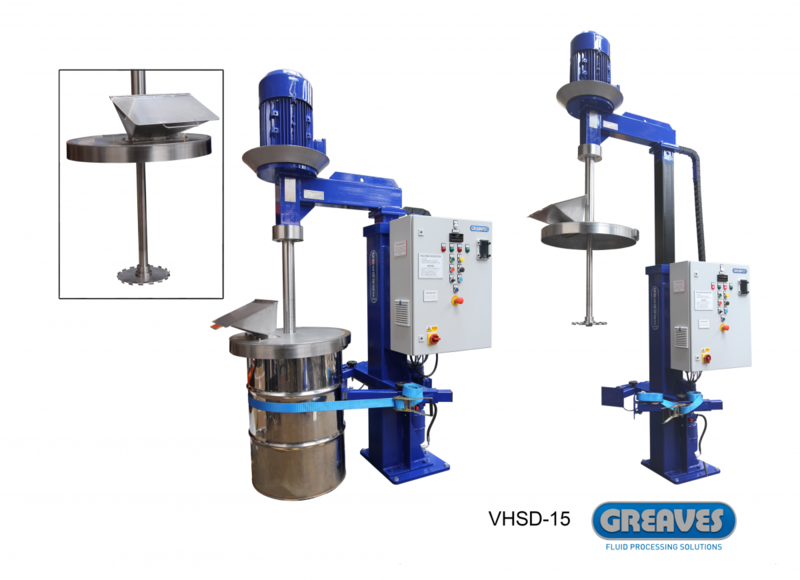 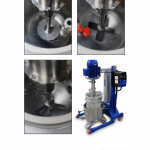 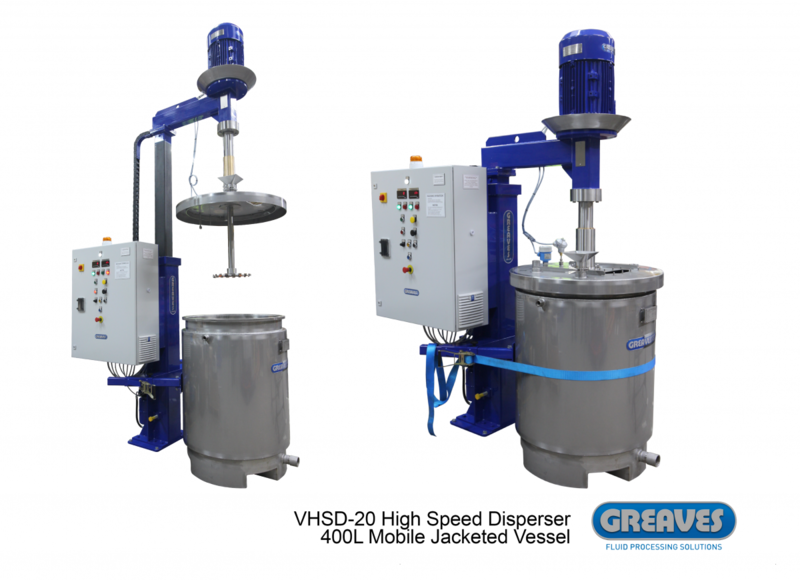 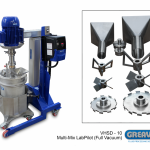 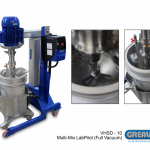 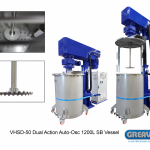 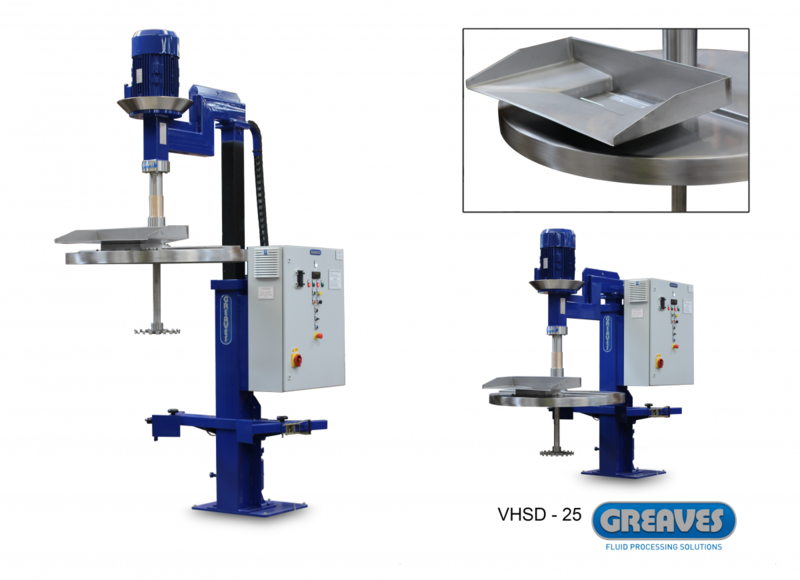 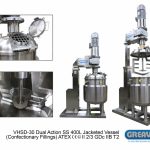 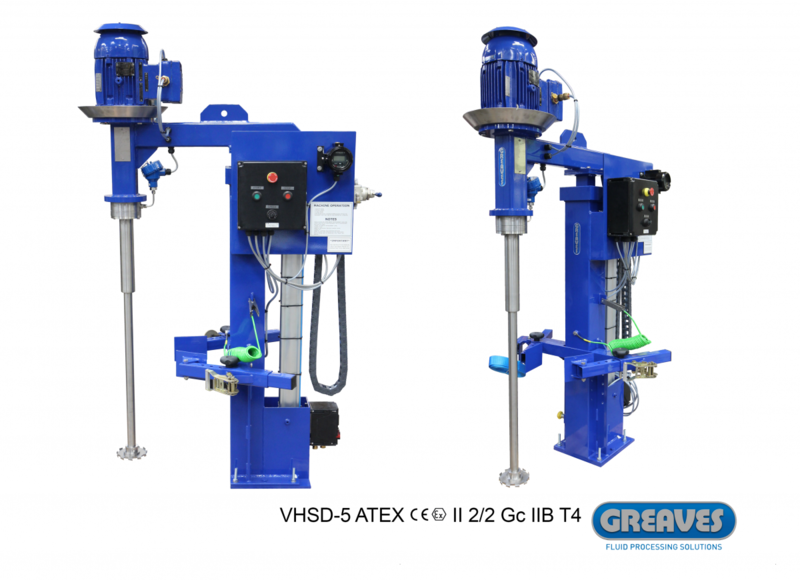 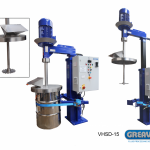 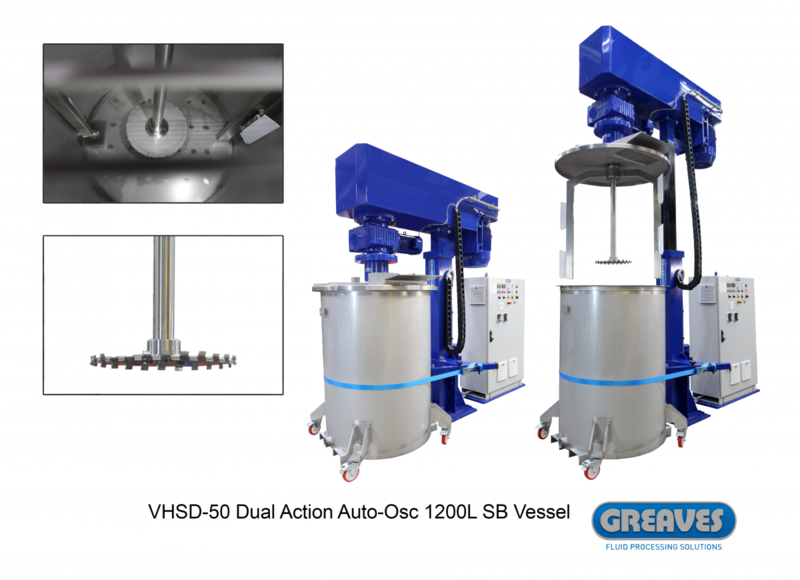 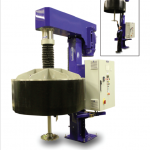 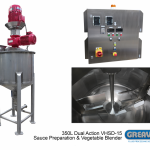 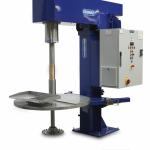 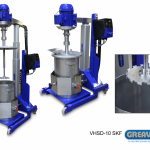 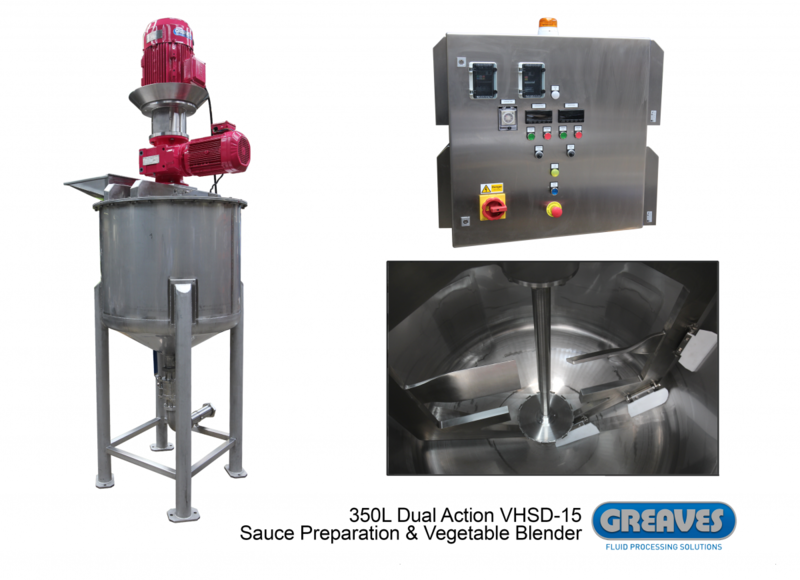 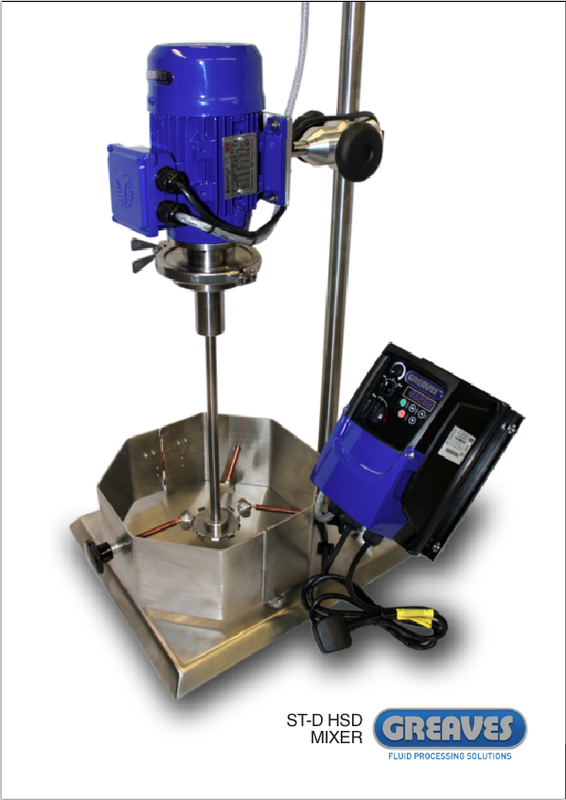 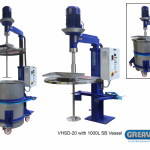 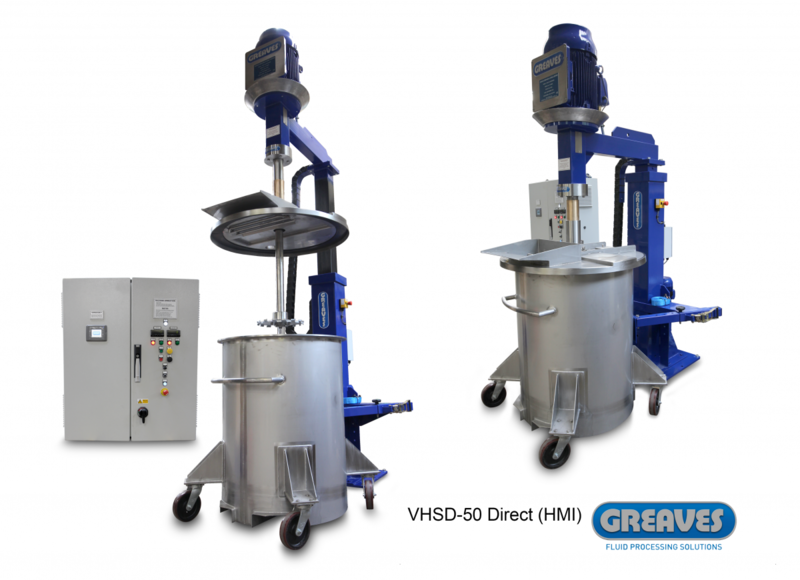 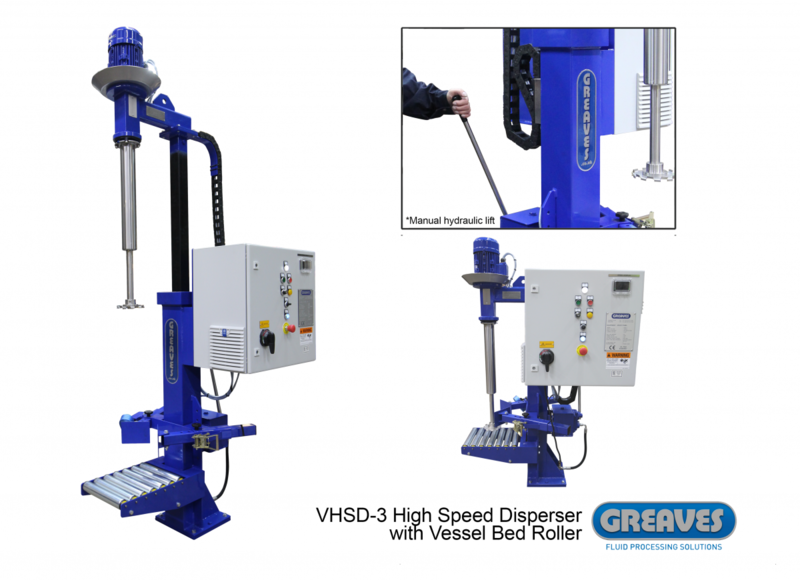 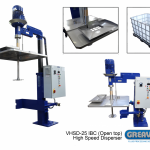 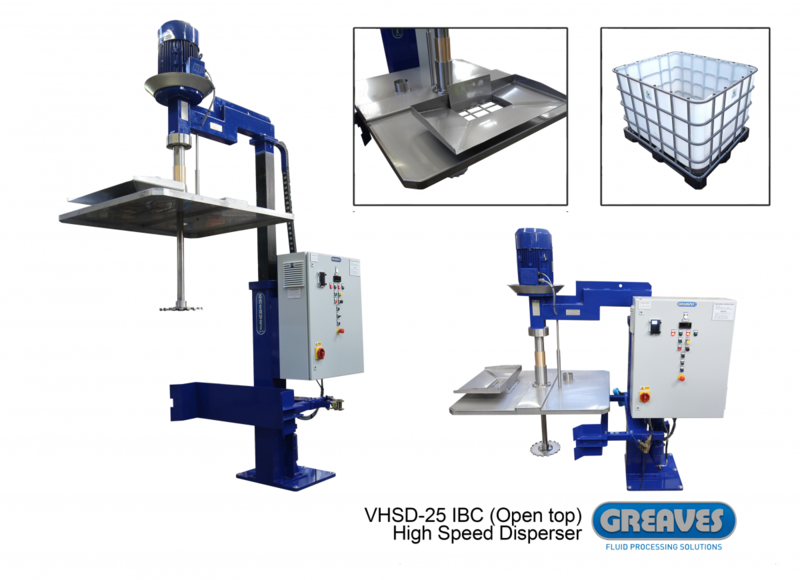 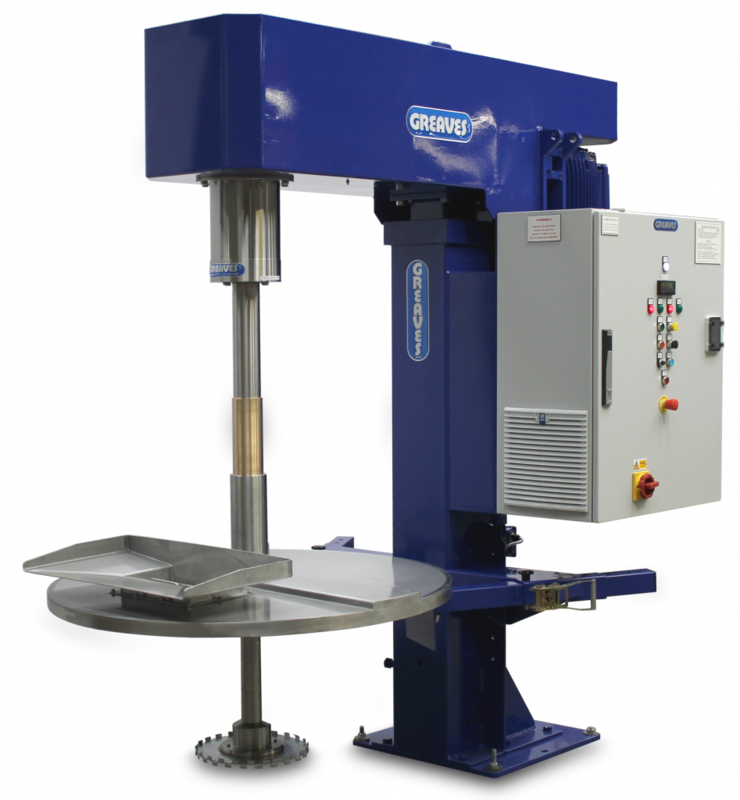 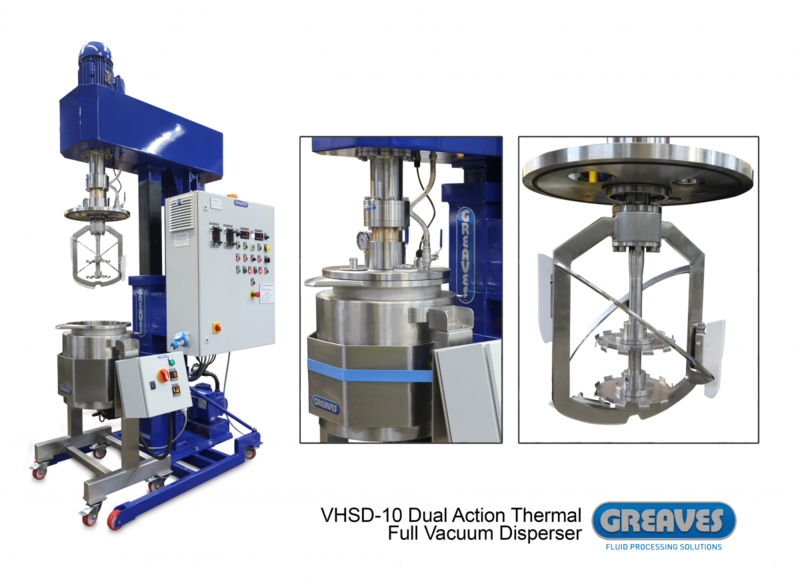 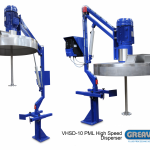 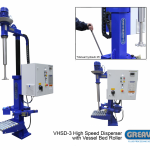 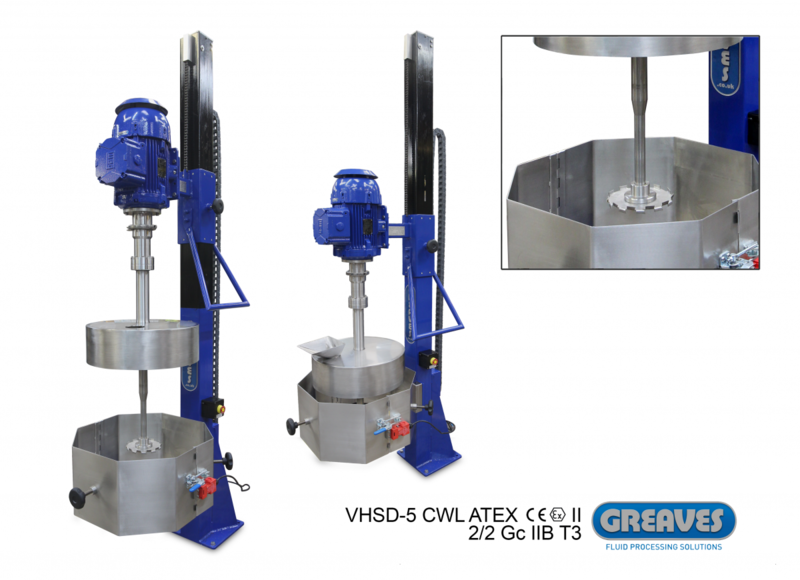 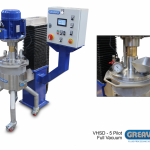 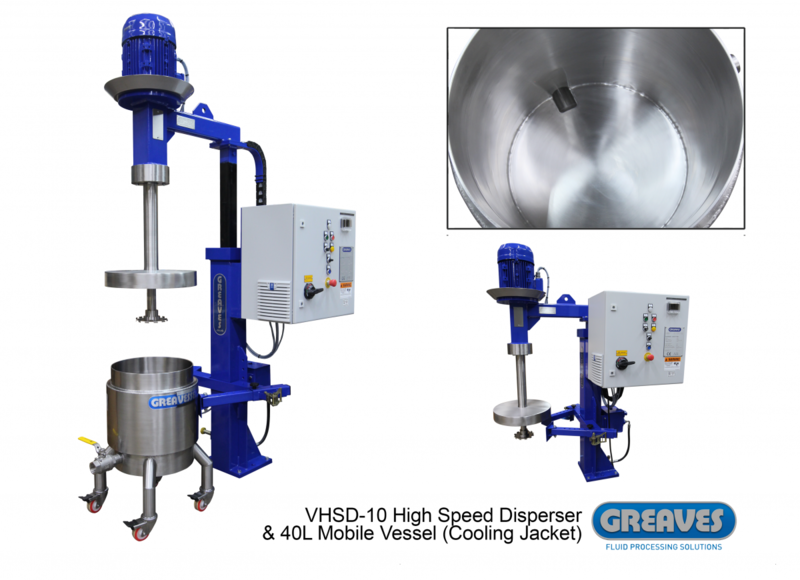 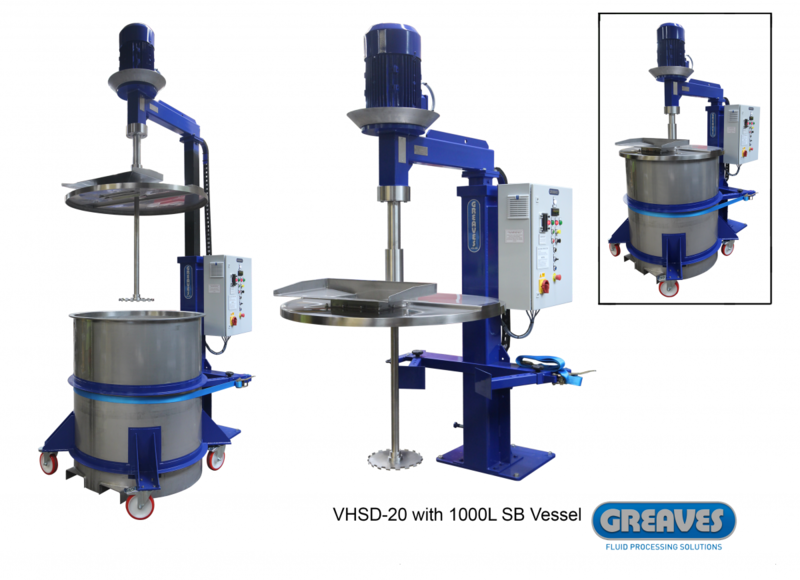 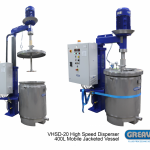 For over Half a Century Greaves have assisted leading brands in providing solutions to the most challenging fluid mixing processes using High Speed Dispersers. 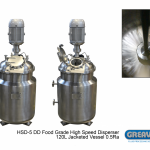 In the 1950’s leading paint and coating brands discovered the process benefits of HSD mixers when incorporating pigments and powders. 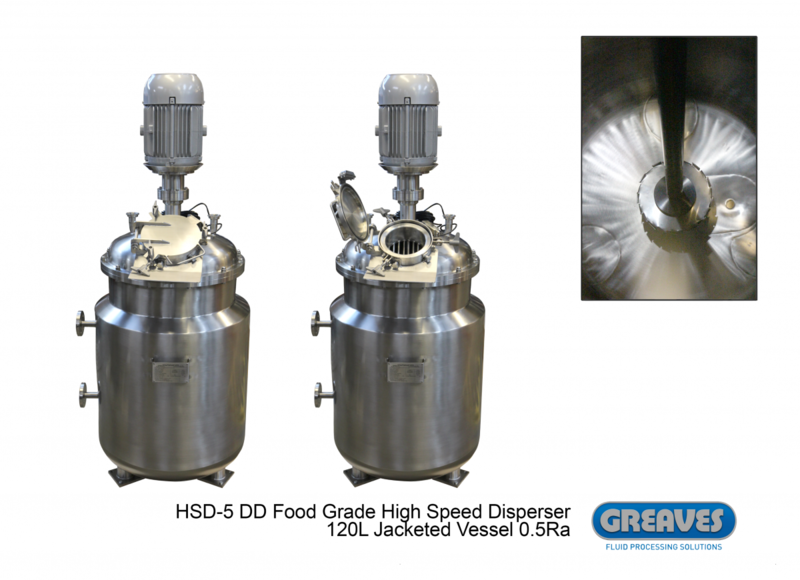 During this period Greaves were rapidly known as the ‘go-to’ consultants for powder to liquid dispersions. 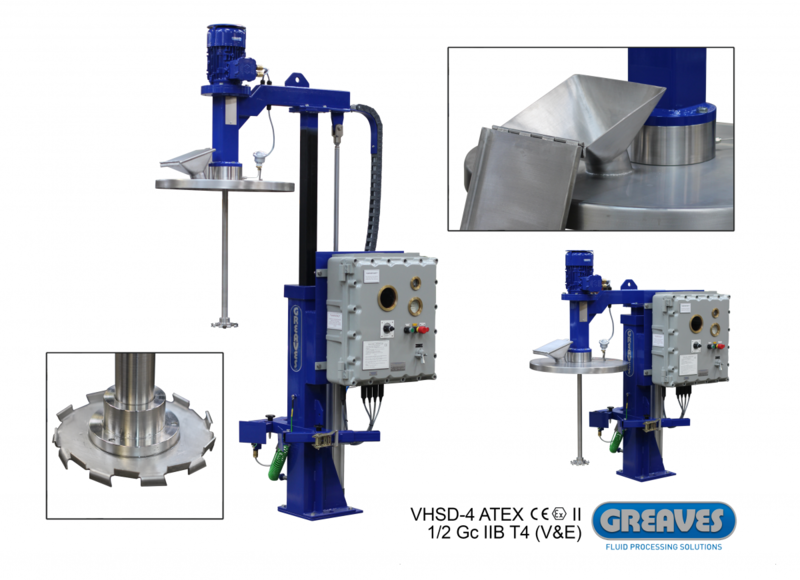 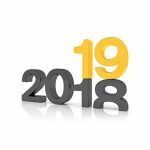 As complex chemical compounds, PU, lubricants, adhesives and high specification flammable coating markets grew Greaves remained leaders in HSD’s by designing & manufacturing ATEX, Vacuum and Thermal reactors, high viscosity mixing machines with PLC based weighing and discharge systems. 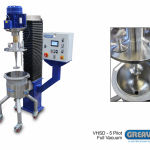 When adding high ratios of powder, solids, prills, pigments or rubbers (which naturally agglomerate and / or are difficult to ‘wet-out’) stable homogeneous dispersions into a liquid base can become difficult to produce with traditional mixing techniques. 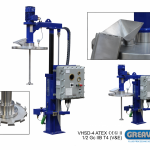 Agitation or even high speed turbine impellers and traditional propellers can increase the flow or turbulence in the vessels but often the lumps and agglomerated powders simply orbit around the inside of the fluid and take hours to dissolve, if at all. 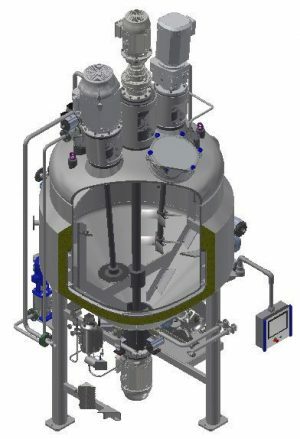 Since nearly all powders or solid particles are naturally surrounded by air, adding these into a liquid base (particularly if the liquid is viscous) results in significant product air presence. 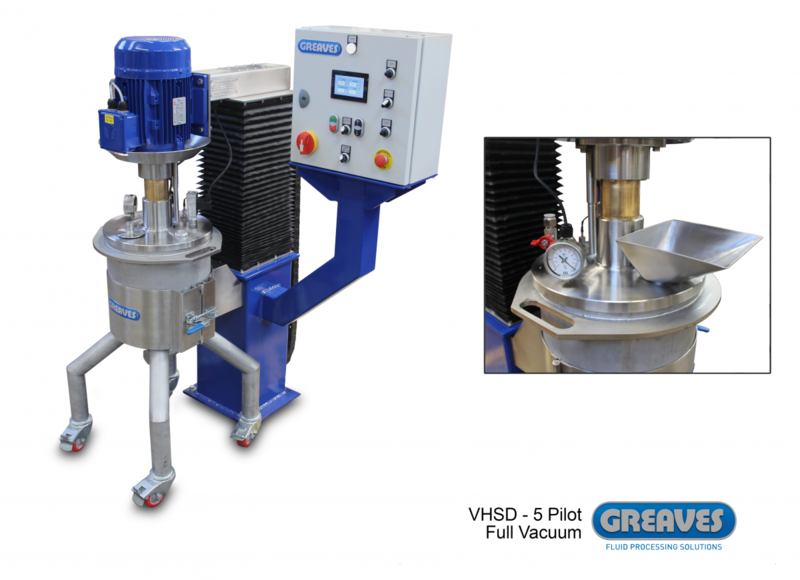 Combine this with mixing vortexes of air from the fluid surface (by high down-thrust) and results are aerated viscous media – usually without natural de-a eration (or rising bubbles) due to the high viscosity fluid entrapment. 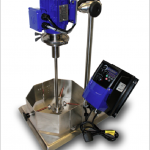 This is sometimes an issue for end-users due to product instabilities, shelf-life, performance impacts and inconsistency or explosion risks that air presence produces. 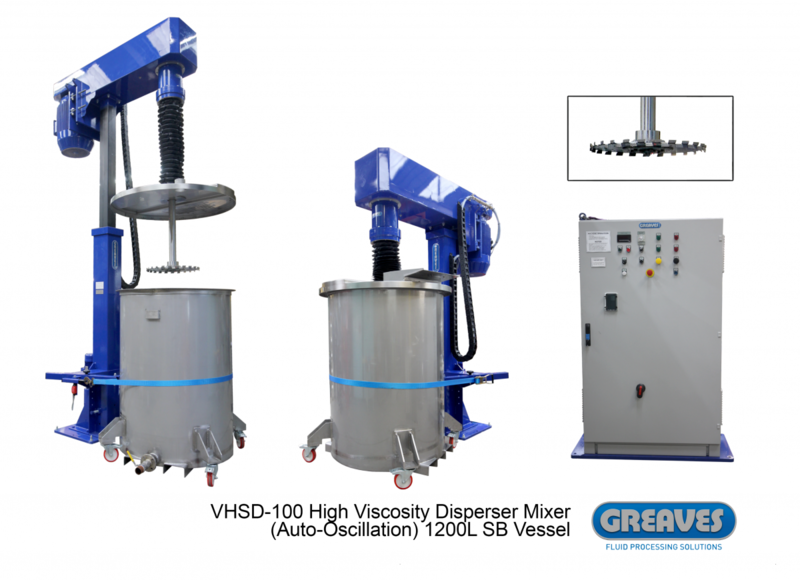 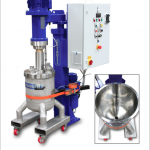 The shear ability of the HSD in dissolving powders into liquid base and breaking agglomerates or lumps of material to form a homogeneous dispersion often reduces traditional mixing batch times by as much as 90%. 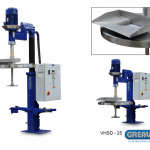 The intensity of flow and shear caused by the blade draws powder or prills down to the cutting tips of the blade and shaft machines can operate in effectively fluid viscosities of around 50,000 centipoises, whereas viscosities above this usually require dual action or triple action Greaves dispersers. 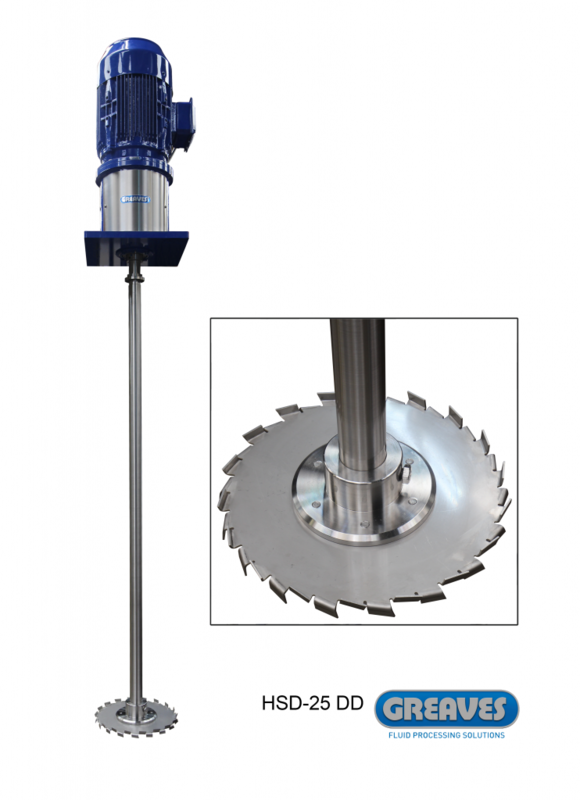 The machines can feature slow speed anchor scraper helical agitators and commonly an independently driven turbine to draw material down to the HSD blade by axial flow. 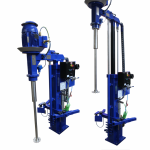 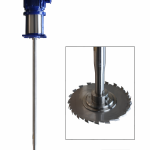 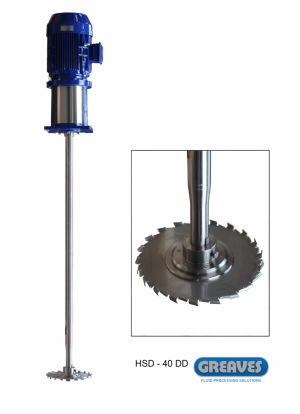 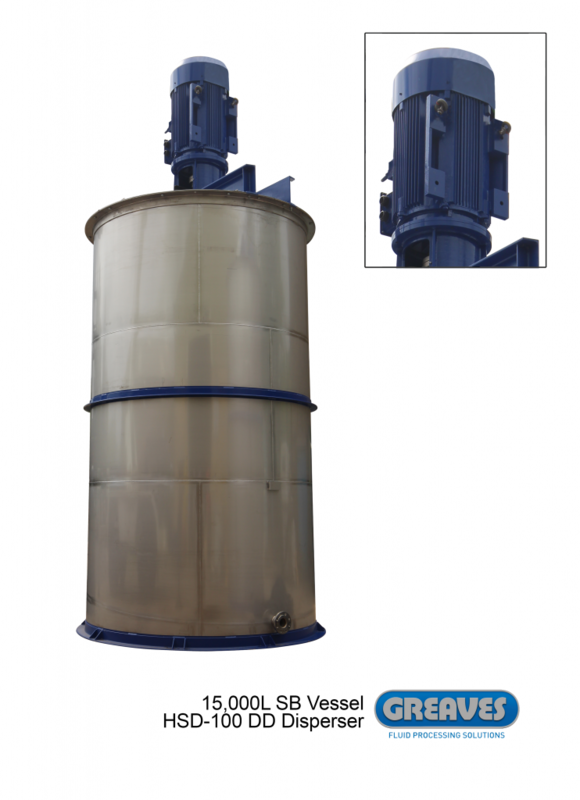 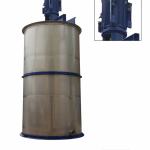 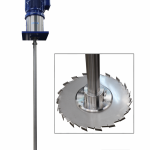 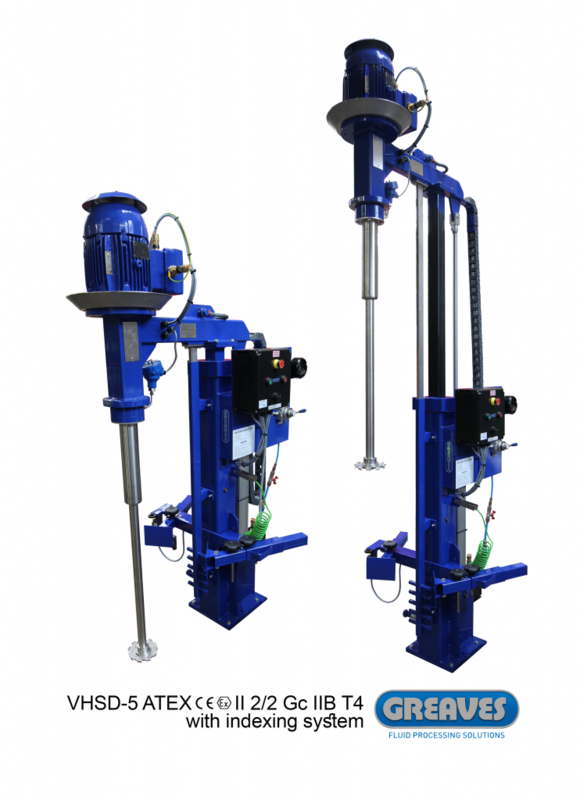 The anchor scraper helical agitator removes material from the vessel wall aiding heat transfer (in the thermal applications) and towards the HSD and / or turbine mixer radially disperses these into the main surrounding mixture. 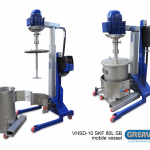 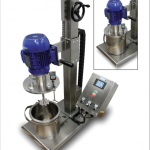 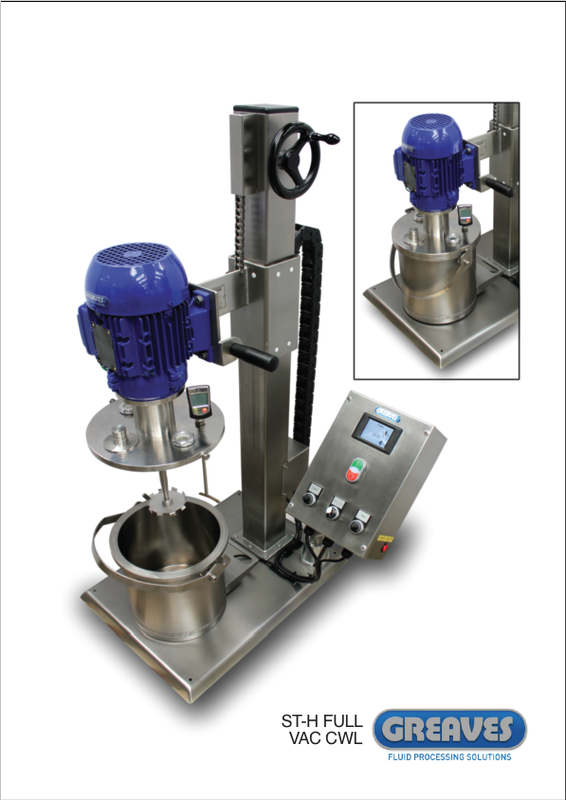 What do other High Shear Mixers process – Rotor-stator type (Greaves GM series)? 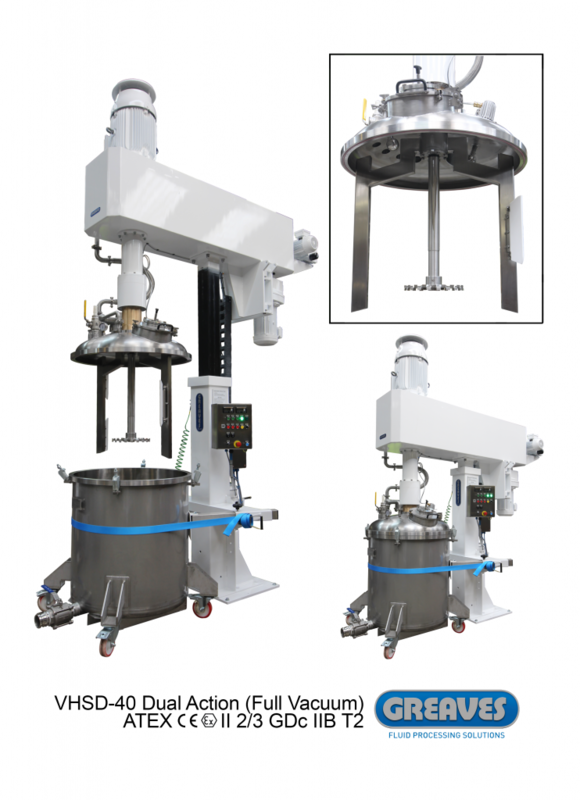 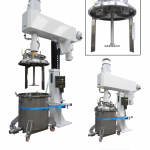 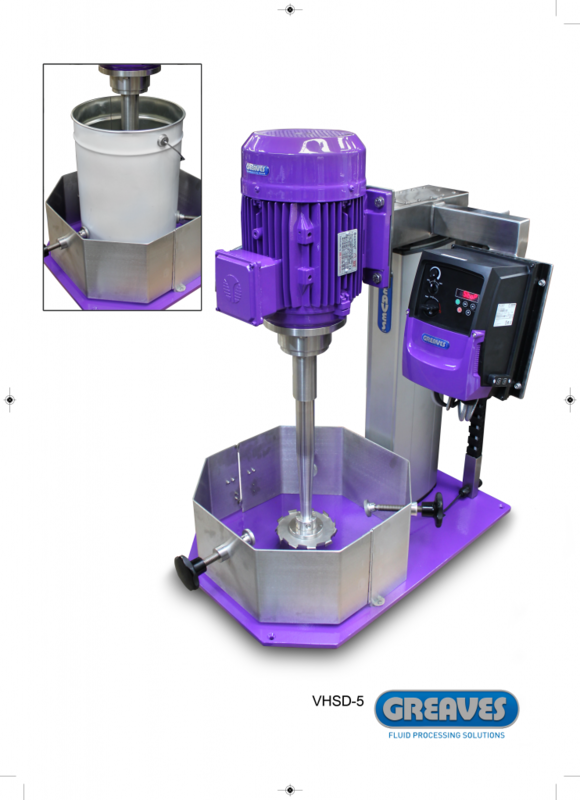 Top entry Rotor stator type homogenisers struggle with dense powders and particle sizes offered on higher powder to liquid ratios, however these do offer higher levels of shear and emulsify lower viscosity material by actual particle size reductions. 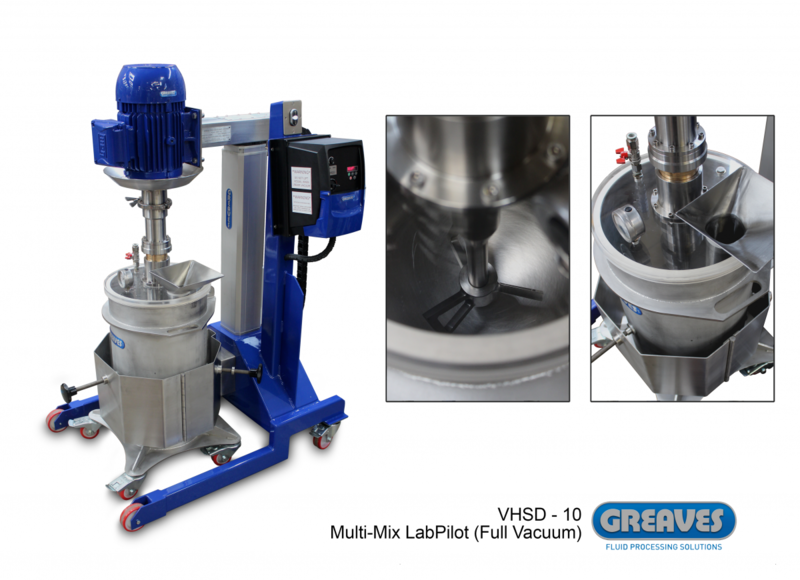 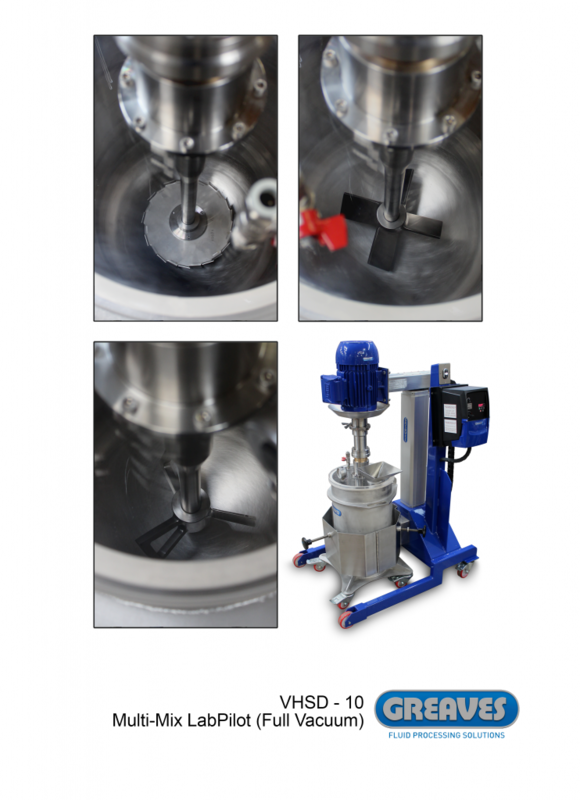 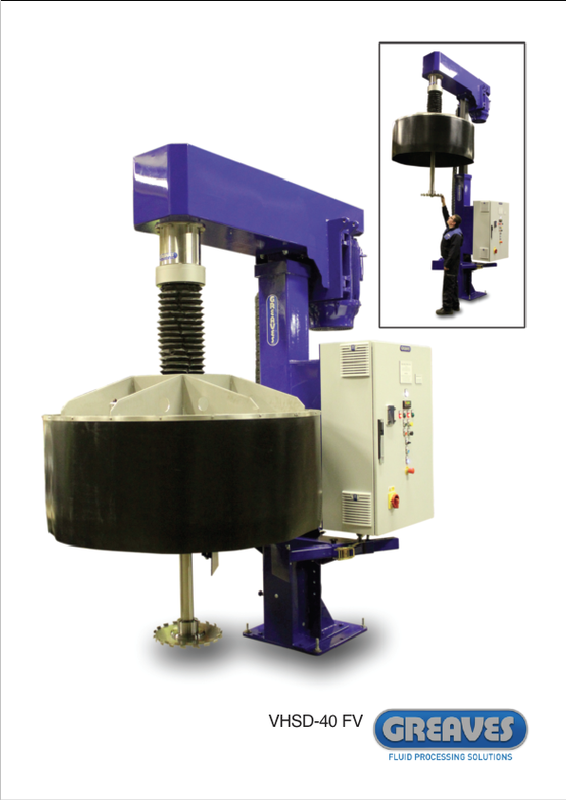 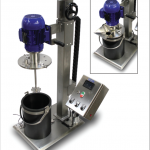 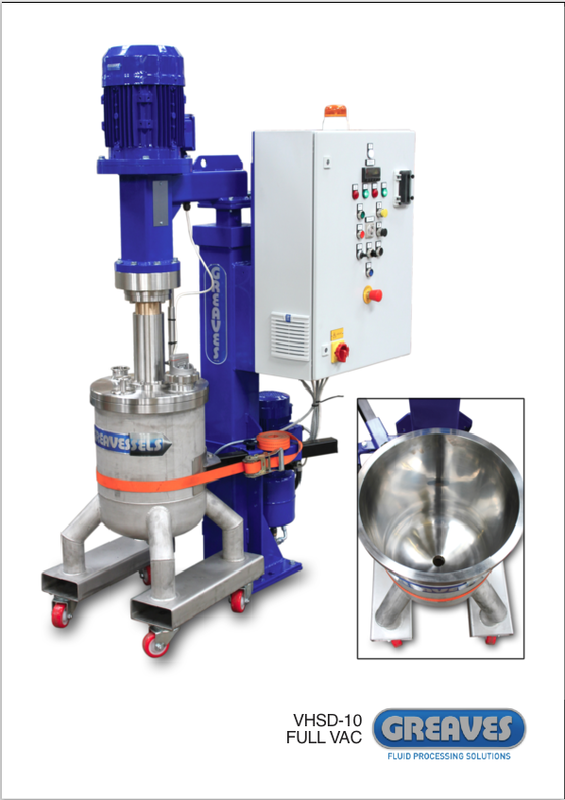 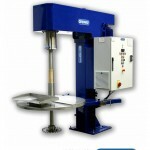 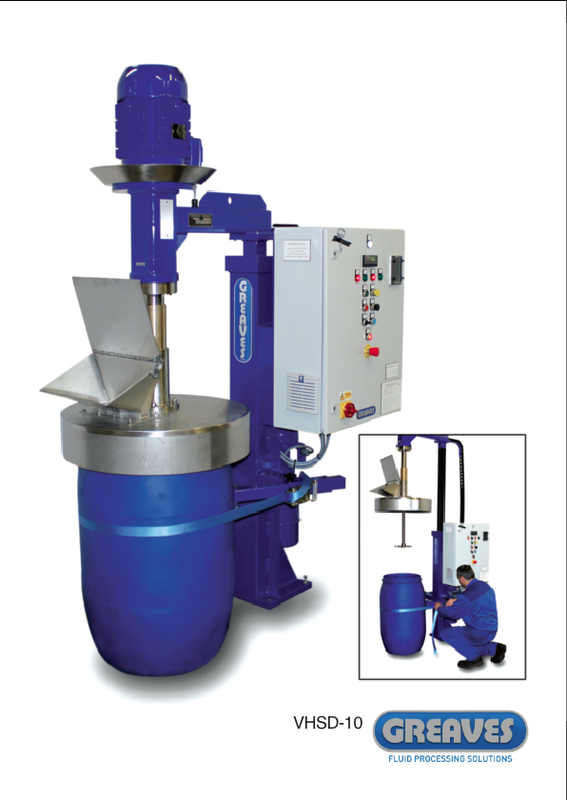 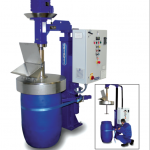 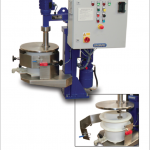 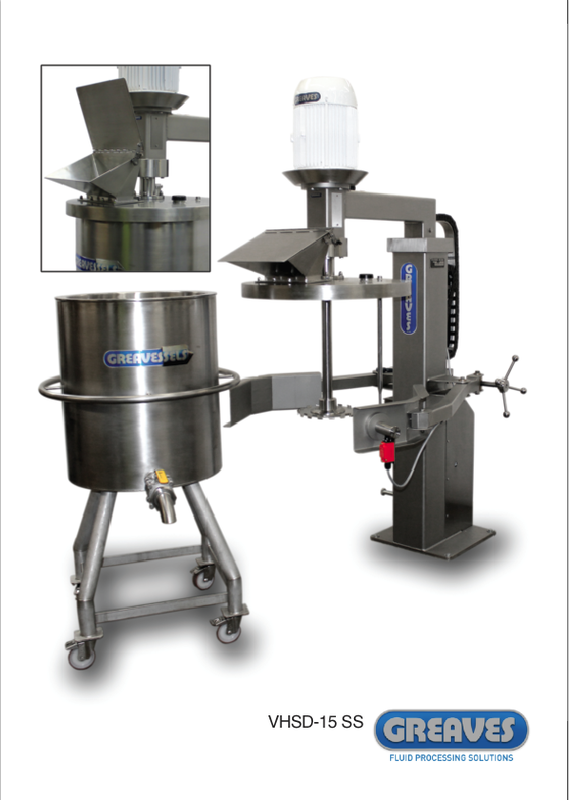 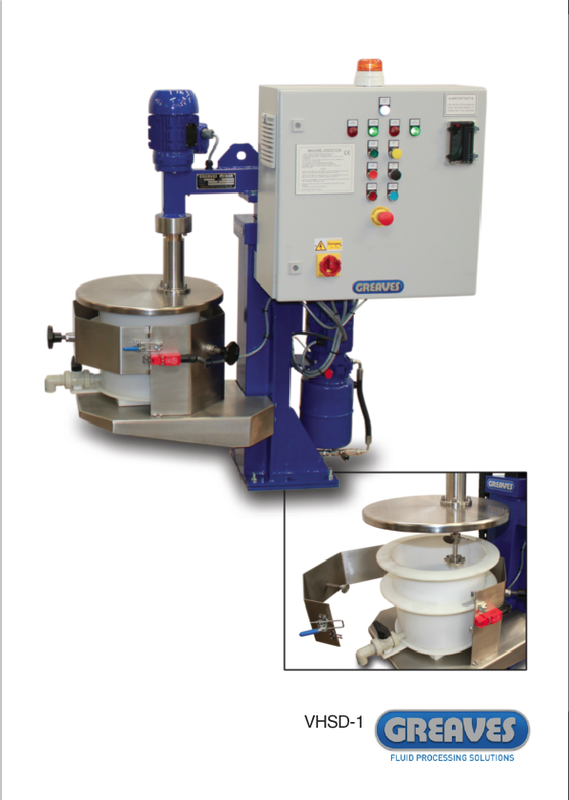 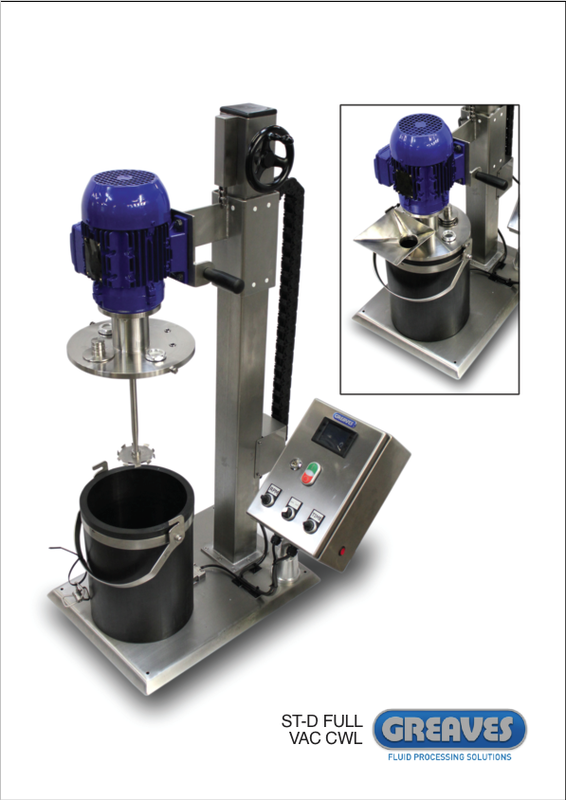 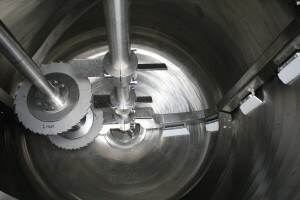 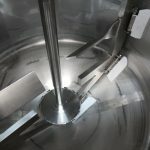 There are solutions in achieving homogenous mixtures using these particle size reduction and mechanical shear processes in high viscosities to 150,000cps by force feeding Greaves an in-line high shear mixers or by adding other mixing tools into the vessel to assist the flow to the rotor-stator homogeniser. 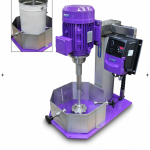 Bottom entry high shear mixers also work very effectively with high viscosity processes due to their location and in particularly if other mixing tools are present, such as an anchor or turbine. 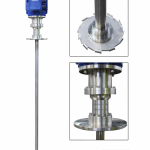 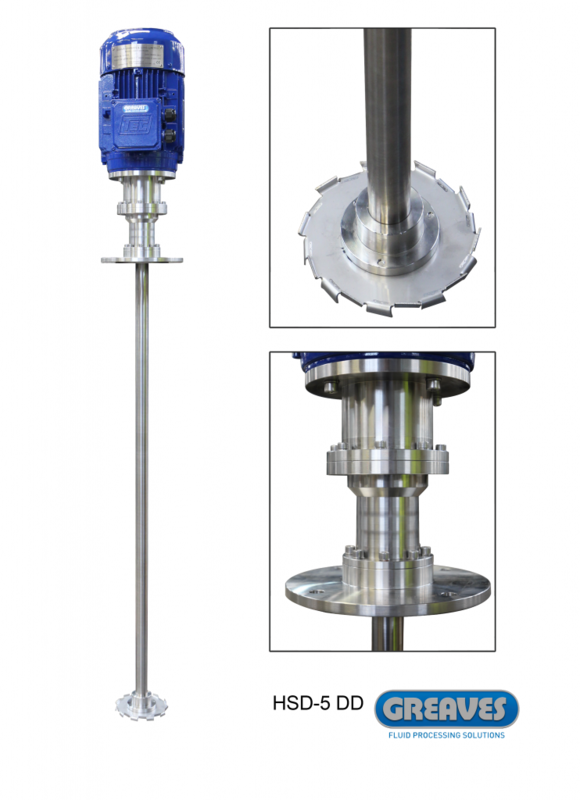 High speed disperser selections in terms of blade design profiles, shaft speeds / tip-speeds, pressure processes, impeller to vessel diameter ratios, high temperature mixing and often ATEX / flammable products can be a minefield . 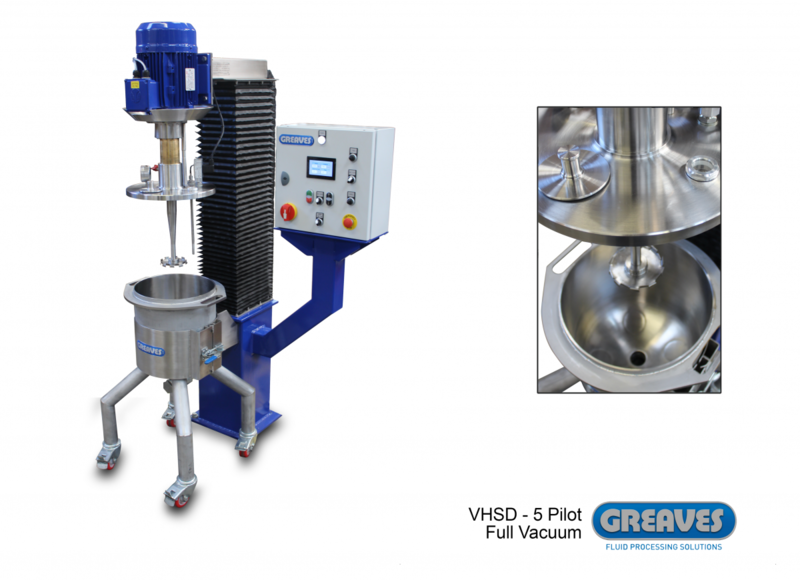 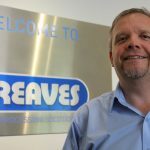 Greaves are the leading experts in all these process elements, including vacuum de-gassing or de-aeration – particularly prescribed in chemicals processes such as PU, adhesives, coatings, high-performance paints and pharmaceutical fluid stabilisation processes. 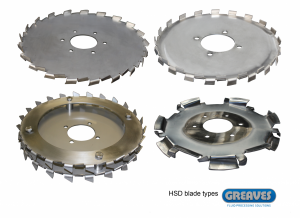 Many blade profiles are available depending on the process, flow requirements, viscosities, solid to liquid ratios and shear sensitivity of the materials and fluids present.